In the field of spectroscopy, fluorescence can be analyzed from a sample of material through a special form of electromagnetic spectroscopy. This fluorescence spectroscopy uses a beam of light that is tailored for the type of fluorescence detection needed in compounds. The usual option is an ultraviolet light that is used to excite electrons in the molecules. This causes them to produce a light emitting phenomenon of lower energy, which can be within the visible and non-visible light spectra. A complimentary technique that is often used with fluorescence spectroscopy is absorption spectroscopy. Absorption spectroscopy determines how much light is absorbed into the substance versus the amount of light that bounces back. Fluorometry and spectrofluorometry are other names for fluorescence spectroscopy. They refer to the same process of measuring the amount of fluorescence that materials have when sampled through machinery and devices used to measure it. These devices are known as fluorometers or fluorimeters. These work by measuring the amount of light that has been emitted from the material from longer wavelengths of light. This can also be done with radiation that has been absorbed into the material that is emitting longer wavelength light from multiple photon absorption. Fluorescence can be observed in many different ways. The most notable type of fluorescence is ultraviolet radiation, which is visible when bounced off as emitted light. Normally, the ultraviolet light is invisible to a human’s naked eye. However, when it is applied in this manner, it is possible to see the visible emitted light. When ultraviolet light is exposed onto the fluorescent materials, it displays very bright, intense, neon-like colors. George Gabriel Stokes named this phenomenon “fluorescence” in 1852. The nomenclature of the word derives from fluorite (chemically, calcium difluoride) that may contain divalent europium, which glows blue under ultraviolet radiation stimuli. The name was supposed to express the general appearance of the solution sulfate of quinine and similar media. 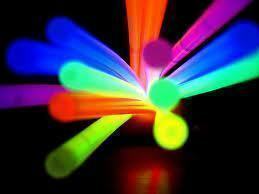 Fluorescence can be used as a practical property of materials in various fields of science. Mineralogy and gemology use fluorescence to determine a sample’s qualities. Using fluorescent chemicals as a sensor or marker is useful in various applications. Special fluorescent labeling is possible with proteins and nucleic acids that can be used in various biological experiments by attaching fluorophore materials, dyes, and biological detectors. Fluorescent material is also used in fluorescent lighting bulbs that use mercury vapor as the source of ultraviolet radiation to illuminate the bulbs. The two main types of spectroscopy equipment are used through filter fluorometers and spectrofluorometers. The filter fluorometers use a specialized filter that isolates light into the incident and fluorescent lights. Spectrofluorometers give the same result as the filter fluorometers, but instead of using filters to isolate the different light sources, diffraction grating monochromators are used. These tools use the light source that is excited and passed through either the filter or the monochramator and lands on the sample. The sample absorbs a portion of the incident light and the fluorescent molecules in the sample emit the light. A detector is attached at a viewing angle (usually around 90 degrees), which prevents incident light from polluting the detected fluorescent light. Lasers – A laser makes it possible to have narrow wavelength intervals that offer very high energy irradiation. This is useful when a large amount of energy is needed to produce the fluorescence in the sample. Photodiodes – Photodiodes are specialized diodes that can be configured in a manner that allows electrons to flow towards the sample so that the excess energy excites the fluorescent particles. Lamps – Specialized lamps that provide the necessary amount of excess energy to excite the fluorescent particles in the sample. Xenon Arcs – Arcs of Xenon can produce the right amount of radiation for fluorescent materials to fluoresce for observation with the equipment. Mercury Vapor – Since mercury vapor can create ultraviolet radiation when electrical current is passed through it, it is good for use with materials that fluoresce under the ultraviolet radiation. Different light sources are used simply because they offer different levels of irradiation due to the wavelength of light that is causing the excitation. Lasers, for instance, can provide wavelengths that are under 0.01 nanometers, which provides an immense amount of energy for excitation. The big challenge when using lasers is controlling the wavelength because they are so small. 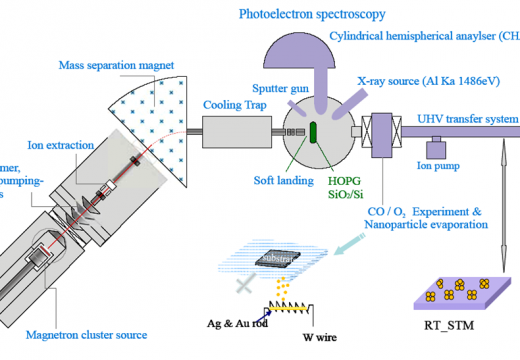 Lamps, mercury vapor, and xenon provide wavelengths in the 200-800+ nanometer range, which serve different functions for fluorescence spectroscopy. Filters and monochromators can be used in a fluorimeter device. Monochromators allow wavelength adjustment, which makes it possible to get the right amount of stimuli into the materials to provide the fluorescence and data necessary when testing samples. Monochromators make it possible to do so with a diffraction grating. The diffraction grating makes light that enters the grating change angle depending on the wavelength. This change makes it possible to get the necessary wavelength with the proper adjustment. Using multiple filters or monochromators may be necessary depending on the type of fluorescence spectroscopy that is being performed. The primary filters that excite the sample provide the appropriate wavelength necessary, while the secondary filters monochromate the emitted light when sent to the detector. Another reason for using a filter or monchromator is to remove “pollution” or stray light from the wavelength that is used to excite the sample. This improves the readings’/data’s accuracy that the sample provides. For this reason, detectors in the setup are often positioned at a 90 degree angle to receive less stray light from the reading by only allowing scattered light that comes from the sample as stray light to have a lowered signal to noise ratio, which is better for detecting the intended emitted wavelengths rather than the stray light. The 90 degree detector also makes it possible to measure samples from the front when they are opaque or turbid by measuring the emitted light. Fluorescence spectroscopy detectors may have a single channel or multiple channels. Single channeled detectors only detect a single wavelength from a sample at a time. Multiple channeled detectors are much more suited for getting multiple wavelength intensity readings at the same time. When using a multiple channel detector, it is possible to reduce the need to use a monochromator or filter in the excitation/emission of the samples. The detectors that provide a single channel can be more accurate, but are very limited to the wavelength they are assigned to. Multichannel detectors are very efficient, but provide a large amount of unnecessary data to review when sample testing is completed. Although the process of fluorescence spectroscopy is generally very particular, the various excitement sources used on samples, the samples themselves, and naturally occurring phenomena can alter the results’ accuracy. One of the main things that must be considered is that emitted light can in part or whole be reabsorbed into the sample. Samples that used different wavelengths can actually excite the fluorescent particles in the sample material too much or too little. This directs the emitted energy to simply reabsorb or reflect and reabsorb into the sample, which may cause inaccurate readings. Using different filters, monochromators and the curvette/cell that holds the sample, sample detectors, and excitation sources is commonplace. Getting a single standard spectrum for analysis is very difficult. This means that each piece of equipment needs calibration in order to function similarly to any other piece of equipment. Distortion happens naturally, which can result in minimal but statistically significant readings from samples. Fluorescence spectroscopy is not perfect, so accurate results may have errors, depending on the specific application of the process. 231 queries in 0.578 seconds.